Whether you are interested in throwing yourself into white water rafting, pony-trekking, rock climbing, hiking or mountain biking, holidays in Colorado Springs are focused on giving you access to the stunning Rocky Mountains and the wild Pike National Forest. 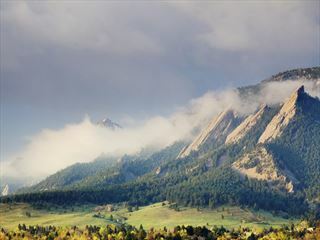 At one mile above sea level itself, Colorado Springs is located near the impressive Pikes Peak that stands at 14,115ft. The area enjoys many trails and parks that are typically beautiful, framed by the rugged mountain scenery. 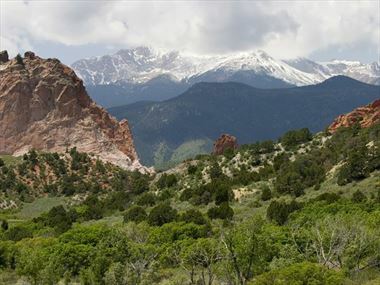 Colorado Springs boasts more than 50 major attractions and 300 annual days of sunshine. 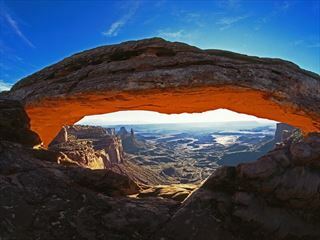 Colorado holidays can be varied although many people come for the scenery and the outdoor sports. The Rocky Mountains boast some of the best mountain scenery in the US with incredible peaks, dense forests, rock formations and unique geological features such as; Pikes Peak, Garden of the Gods Park, Cave of the Winds and Seven Falls are all nearby. Travel on the Royal Gorge Route Railroad for breathtaking views or visit one of the many railroad museums. Hire All-Terrain Vehicles for a different kind of excursion, or if you are feeling very brave why not try a Royal Gorge Zip Line tour. Summers are typically warm in Colorado Springs with summer highs reaching an average of 29.5°C in July and drop to around average lows of -8.1°C in December. The four-star Marriott Colorado Springs Hotel has 311 rooms and 33 suites, providing a gym, health club, indoor and outdoor pools, Jacuzzi, sauna and three restaurants. Planning a holiday to Colorado Springs? Planning a holiday to Colorado Springs, CO? American Sky has the experience to help you plan your perfect holiday. Call our Colorado specialists today and make the most of your next holiday. There are a wide variety of things to see and do whilst staying in Colorado Springs. Check out our travel guides for some of the highlights, top tips and travel inspiration from our American Sky Experts, along with some essential information you may need for your holiday. There's a whole variety of thrilling adventures to be had in Colorado Springs, but we've collated the best ten for you to choose from.